If you’re thinking about buying a new car, it may be your ZIP code that could give you the best rebate deal. Josh King has the story (@abridgetoland). Look under the hood and you’ll see that many consumers are catching a break. Average discounts per vehicle jumped 16.5% in October, compared to a year earlier, to $3,472 per vehicle, according to Edmunds. It’s even happening with red-hot crossovers, a segment that’s growing extremely competitive as automakers introduce new models to capitalize on consumers ditching passenger cars. “This year there’s way too much inventory in the marketplace so I think it drives some of the competitors to put out more incentive money out there,” Nissan U.S. sales chief Judy Wheeler said. Ford’s LaNeve and Nissan’s Wheeler said they both expect automakers to roll out heavy year-end incentive programs to clear out 2017 models. General Motors was down 2.3% for the month, but still led the industry with sales of 252,614 vehicles. And the company’s Chevrolet Bolt is believed to have been the hottest selling electric car for the month, outpacing Tesla, which does not report monthly results. Ford’s strong pickup trucks and sales to fleet customers helped the company to a 6.4% sales increase. German automaker Volkswagen Group’s continued to bounce back after a rough stretch due to the company’s emissions scandal, as its namesake brand’s sales rose 11.9%. The company’s new Atlas SUV got off to a strong start. GM’s sales included a 3.9% decline for the flagship Chevrolet brand, a 4.6% increase for the GMC lineup, a 0.1% uptick for Cadillac and a 4.5% drop for Buick. The F-series pickup, the most popular vehicle in the U.S., posted a 15.9% sales increase to 75,974 units, marking the model’s best October in 13 years. The company’s flagship Ford brand was up 6.8%, while its luxury Lincoln lineup fell 1.8%. Fiat Chrysler’s effort to reduce its reliance on sales to fleet customers continued for the month, with sales to rental car companies plunging 43%. But the automaker’s retail sales also took a hit for the month, declining 4%. Overall, the company’s major brands all reported declines, with Jeep down 2.5%, Chrysler down 22.3%, Dodge down 41% and Fiat down 32.5%. Toyota’s namesake brand reported a 2.5% increase in sales, but its luxury Lexus lineup fell 7.7%. But the company’s SUVs and crossovers rose 25.3% while pickup sales jumped 15.5%. The Japanese automaker’s U.S. sales greatly exceeded expectations, posting the company’s best-ever October. The company’s trucks, SUVs and crossovers rose 13%. That included a 43% boom in sales of the popular Nissan Rogue crossover to 30,286 units. Honda’s car sales continued to buck the industry’s downward trend, rising 5.9% in October. The company’s Accord and Civic sedans were up 4.7% and 15%, respectively. Overall, the Honda brand rose 1.2% for the month. 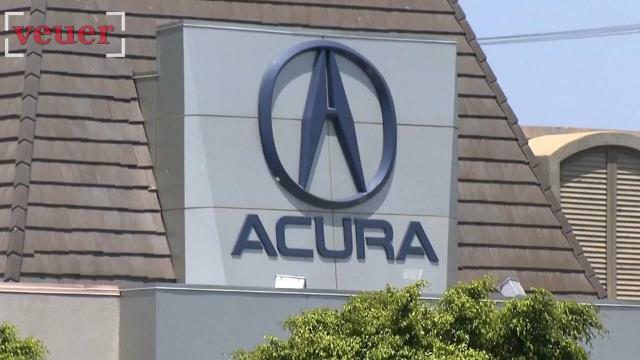 The company’s luxury Acura brand fell 1.3%. The German automaker’s sales volume continued to bounce back after a rough stretch due to the company’s emissions scandal. The Japanese automaker’s red-hot sales streak cooled off in October. But the company’s Crosstrek SUV surged 29.9% and its Impreza sedan more than doubled.